Success! Htet Pel from Burma raised $1,500 to fund contracture repair surgery. 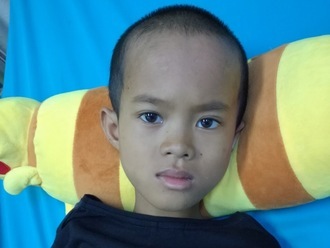 Htet Pel's treatment was fully funded on January 19, 2019. Htet Pel underwent contracture repair surgery. Htet Pel is happy and satisfied with the improvement in his hand. Htet Pel is a 50-year-old man who lives with his family in Mae Tha Lar Village, Kyain Seikgyi Township, Karen State, Burma. His main income comes from working as a lottery ticket seller, and he also works as a daily laborer. 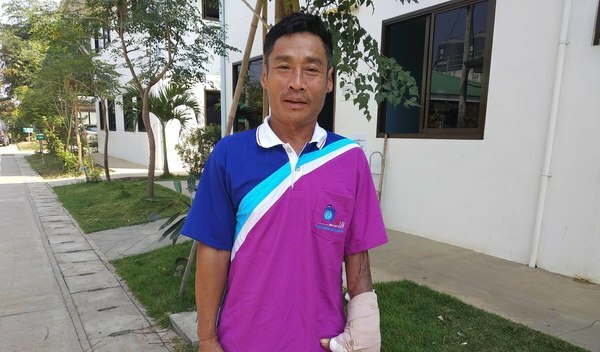 Ten years ago, Htet Pel severely burned his left hand when he was refilling an oil lamp with diesel near an open fire. His injuries healed, but scars developed. Eventually, the thickness of the scars made his fingers rigid and limited the movement of his fingers, until he could no longer grip anything. Htet Pel will undergo contracture release surgery to treat his condition and help him use his hands again. The procedure is scheduled for January 15 and will cost $1,500. Htet Pel's case was submitted by Bue Wah Say at Burma Children Medical Fund in Burma. Htet Pel was submitted by Bue Wah Say, Project Officer at Burma Children Medical Fund, our medical partner in Burma. Htet Pel's profile was published to start raising funds. Htet Pel received treatment at Maharaj Nakorn Chiang Mai Hospital. Medical partners often provide care to patients accepted by Watsi before those patients are fully funded, operating under the guarantee that the cost of care will be paid for by donors. Htet Pel's treatment was fully funded. Htet Pel's treatment was successful. Read the update.